We’re pleased to announce the 2018 Apollo Celebration Awards that will be given at this year’s Apollo Celebration Gala held at Kennedy Space Center on Saturday July 21, 2018. Each nominee has been selected for the genuine impact they have had in their respective arenas and will share their poignant stories with gala guests. Dr. Carolyn Williams is an advocate for educating underserved youth and serves as Chairwoman for the From One Hand to AnOTHER Foundation with an impressive curriculum focusing on S.T.E.A.M.M. —Science, Technology, Engineering, Arts, Mathematics and Motivation. Gerry Griffin – at the heart of the remarkable Apollo Space Program was the team who worked in Mission Control. During NASA’s Apollo Program, Gerry Griffin was a Flight Director and served in this capacity for all of the Apollo manned missions. Incredibly, he was Lead Flight Director for three lunar landing missions: Apollo 12, 15 and 17. 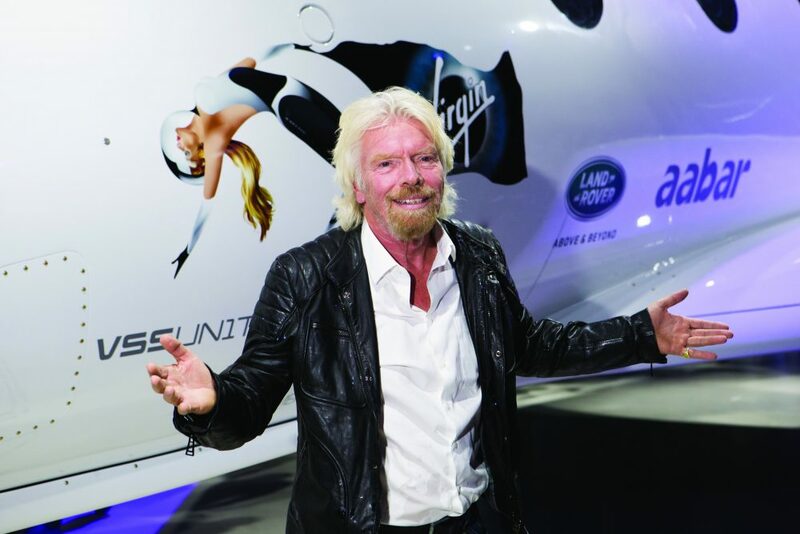 Sir Richard Branson – Founder of Virgin Galactic – his mission is to create the world’s first commercial spaceline. Virgin Galactic is developing and operating a new generation of space vehicles to open space for everyone. Determined to innovate and create a better future for our society and our planet, they promise to inspire future generations and make it possible to see our beautiful home planet from a new perspective. And if that isn’t exciting enough for you, gala guests are encouraged to seek their own thrills and adventures by bidding on some of the truly exciting adventurous auction lots. Join award-winning photographer Scott Portelli for gorilla trekking in Rwanda! Or world freediving champion and underwater photographer Fred Buyle in the Azores to swim with sperm whales or blue sharks! Or fly in a microlight over the beautiful French countryside in V-formation with a flock of geese! Donated by Wild About Lapland – bid to see the aurora in Lapland with many other activities included such as snow shoeing, ice fishing and thrilling reindeer and husky rides!